Not many know it, but Cebu actually is dominated by RGMA's DYRT FM or Barangay RT 99.5. 99.5 RT as it was formerly called, not to be confused by the Manila station of the same monicker which now has a new format and brand, RT is the dominating station but not based on KBP sanctioned rating system. The station has a subcription to Nielsen Survey, a private ratings system, something that the station is only using in the city. Since GMA is not a member of the KBP, the results that the RRC or Radio Research Council will not include or if it does, the numbers for DYRT will have no significance. Of course, the move of the station raises so many eyebrows. It is questioned even by listeners who ask why Barangay RT does not want divulge the details of the Nielsen survey or why chose so. One caller, one time called Papa Joe, the famous DJ in the station who handles the late week nights program and confronted the DJ why they can't give out details of the Nielsen survey. And Papa Joe said it is the decision of the management and they cannot speak in behalf of them. 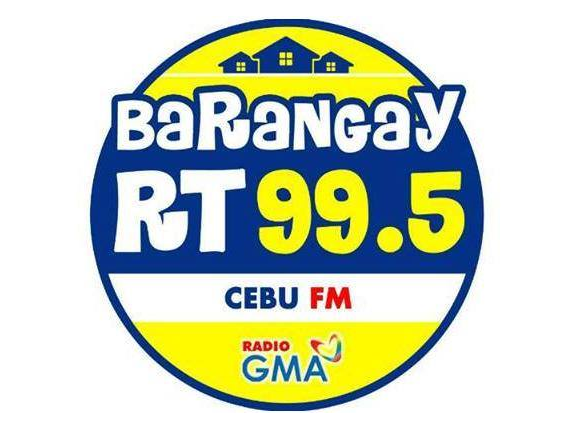 Despite the incident, Papa Joe and Barangay RT 99.5 remains to be the most listened to station in Metro Cebu.